When you’re in need of a storage unit rental in Capitola, you want to be sure you’re using the right storage facility that suits your needs . For example, if you have to rent a storage unit because you’re running out of space in your home to store things, choose a facility that’s close to your home and easily accessible—such as one that’s open seven days a week, and at convenient times. Since your personal items may be in a storage unit indefinitely, be sure that you’re renting a space in a secure storage facility—one that has an on-site manager, security fences and cameras, electronic keypad entry, and sturdy units. Do your research and shop around. When visiting a potential storage facility, make notes of how accommodating the staff is to guests. Inspect the grounds for cleanliness, rodents and insects, and signs of disrepair. Also, check out all available storage units. If everything looks okay and you’re ready to make your first rent payment, be absolutely sure that you completely understand the terms of your contract before you sign any paperwork. There are times in life when people need a self-storage unit in Capitola , which can include moving from one house to another, traveling abroad, needing extra storage space, or running a business that requires storing inventory. If you’re looking to rent a storage unit, be sure to choose one that’s clean, accessible, and in a secure storage facility. Here are some helpful tips on how to pack your belongings for self-storage. Since you want to maximize your storage unit’s space, boxes should be stacked. Therefore, use boxes or containers that are sturdy and can handle weight placed on top of them. When stacking, place heavier boxes at ground level and stack lighter boxes on top. Boxes and containers with fragile items should be placed on top, with nothing on top of them—don’t forget to mark those boxes as “fragile”. Be sure to label everything and list the contents of every box so that you know what’s inside. Before you move any of your furniture pieces to your self-storage unit, make sure you’ve properly cleaned and treated them. For example, treat a wood table with a cleaner that both cleans and polishes wood surfaces, and protects wood from drying out. Similarly, use cleaner for metal that cleans and prevents corrosion. Once your furniture pieces have been thoroughly wiped down, protect them from damage by wrapping them in insulating packing materials such as bubble wrap, thick plastic wrap, heavy fabric, or corrugated cardboard. Pack loose couch cushions into sturdy garbage bags or wrap them in plastic. If you happen to have them, use wooden pallets to lift furniture off of the ground as a safeguard against potential flooding—that is, if your area is prone to minor floods during the rainy season. If you own valuable collectibles, take extra precautions to protect them while they’re in your self-storage unit. Items that are sensitive to moisture—such as stamps, coins, documents, books, artwork, clothing, and dolls—should be stored in special, airtight containers that are insulated. If at all possible, don’t leave super valuable or rare items in your storage unit. Instead, make special arrangements for them to be housed somewhere safer and climate-controlled. 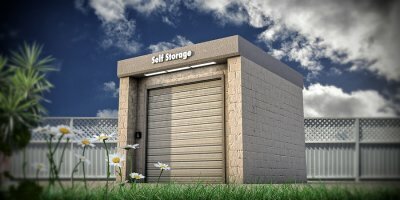 If you need a ground level storage unit near Santa Cruz for your belongings, you may also need to store your vehicle while you are away or relocating. Always check out storage facility units in person before renting, and follow professional storage services’ advice to prepare your car for storage. Before moving your vehicle into any storage facility, you should first install a fuel additive and fill up your gas tank. Next, make sure to have your car’s oil changed. Just like fuel, oil has contaminants, which can become problematic over time. You may also want to consider scheduling a professional maintenance appointment for your car before it goes into a long-term storage facility. A service technician can best check your fluid levels and make sure your car is ready for storage. When you consider your options for a high quality storage unit in Santa Cruz, safety is probably one of your very first priorities. Before committing to any storage facility, always inquire about the security. Reputable professional storage services should include having a manager on-site at all times, in addition to extra precautions like a fence and keypad entry. Continue reading to find out why you should select a self-storage unit that is in a good neighborhood, located at a well-maintained facility, and is properly supervised. Whether you want personal, commercial, or student storage, you should select a storage facility that is located in a good neighborhood. Even if you have to drive a few minutes out of your way, you should always trade safety and a good reputation for a storage facility that is merely convenient. 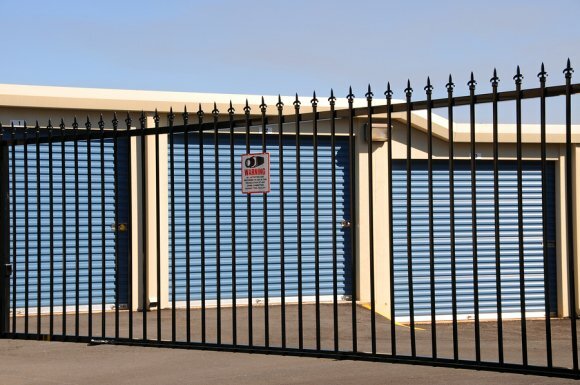 But even if your self-storage unit is in a quiet suburb, it should still have coded security pads and a high fence to discourage any kind of intrusion. When you consider potential storage unit rentals, it is essential to take a walk around the facilities first. A well-maintained storage facility is not only clean but should be regularly monitored for rodents and pests. While it is important that outsiders not be able to access storage units, you should ensure that you can get to your possessions during the day if need be. That means that your storage facility should have an open gate policy during the day. Finally, secure storage facilities should be supervised by a team member or manager at all times. Many self-storage facilities believe their obligations to clients end after simply selling them a storage unit. But the most trusted facilities employ managers to live on-site. This not only strongly discourages theft, it allows customers to access their storage units without any problems during the day. With someone there to help you, you can rest assured that your possessions are both accessible and secure.